IDMERIT provides an ecosystem of identity verification solutions to help customers prevent fraud, meet regulatory compliance, and deliver frictionless user experiences. We offer the most cost-effective and comprehensive verification and authentication solutions available today. IDMverify is a best-in-class identity portal that provides quick and easy personal identity and business verification. Utilizing an API (REST) it accesses official data sources across the globe to provide Know Your Customer (KYC), Know Your Business (KYB) and Anti Money Laundering (AML) compliance. Cross-border transactions are becoming a standard course of business. IDMverify has guaranteed coverage in over 90 countries including some of the most challenging yet important countries including: Brazil, India, China, and South Africa. IDMERIT’s data experts have spent over a decade building strategic relationships with the world’s premium data repositories. To effectively fight fraud, authentication of the customer’s government identification is a critical part of the verification process. To address this, IDMERIT developed IDMvalidate, an app that provides next-generation consumer identity verification in addition to authentication of government issued identity documents. Using an extremely user-friendly interface, the customer scans their identification and IDMERIT checks it against government and in-country databases and delivers a “legitimate” or “fraudulent” determination in just seconds. Additionally, we can provide biometric facial comparison with a liveness detection. Truly global-ready, IDMvalidate can process over 20 languages including some of the most complex such as Arabic, Kanji, and Korean. 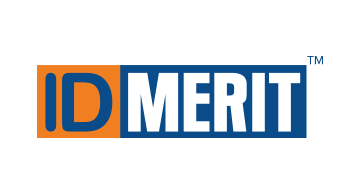 Unlike many existing solutions, IDMERIT’s are completely automated to deliver speed and frictionless user experiences as well as more reliable outcomes based on robust global coverage with access to official and trusted data sources.